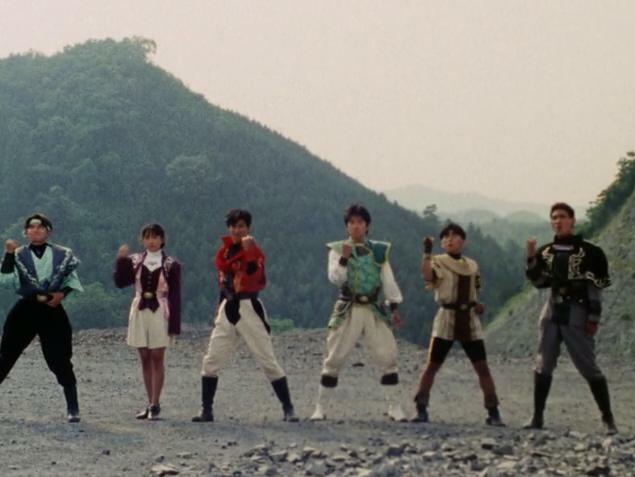 We’ve finally reached the end of an amazing chapter in not only Zyuranger, but Super Sentai as well. For the first time a Sentai team gained a 6th member (shut up X1 doesn’t count, it was ONE episode). This episode has some amazing fights both mecha wise and ranger wise. It’s a ton of fun for the eyes, and if you’ve been with us this far then you won’t be disappointed. You finally get that amazing showdown between Geki and Burai, and Geki goes full badass. It’s just so awesome! Don’t worry though Burai will keep showing up, just not as often. He is living on borrowed time after all. So for now the focus is going to shift to the other Rangers. Next episode things get a bit silly again and love is in the air for the heroes. But I think we could all use a little comedy after the world (read: Tokyo) almost got destroyed. So next week, it’s Love Love time with DoraPixie! Look forward to it! do you have ALL the episodes of Zyuranger? I've been looking forever for a complete subbed episode list of this show, but I've only gotten up to 31 episodes and can't find anymore tht are subbed. If you have all the episodes PLEASE let me know!! I really want to watch them!!!!!!! We're subbing as we go. Be patient. Last edited by virushopper; 07-07-2012 at 11:04 PM.